It’s that time again… In November 2016 the Driver and Vehicle Standards Agency (DVSA) issued eight recalls for passenger cars. Models affected include the BMW 3 Series, Renault Scenic, Ford Kuga and Fiat 500. The biggest recall is for BMW 3 Series, 5 Series and X5 models, of which more than 200,000 produced from 2002-2006 are being recalled over airbag deployment issues. The recall states that the airbag inflator may rupture, causing metal shards to be ejected into the car in the event of an accident. 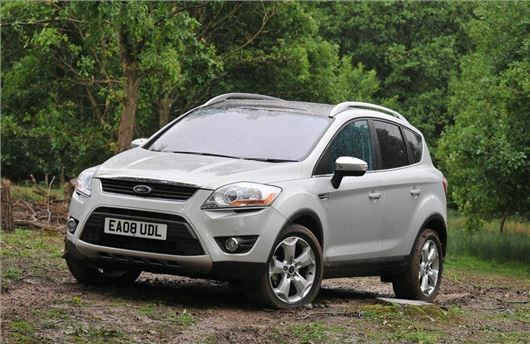 Another large recall affects the Ford Kuga. More than 20,000 produced from 2008-2010 need replacement washer jets, since they may rust and then overheat, causing a localised fire. Just over 4200 Mercedes-Benz E-Class models have been recalled because a connector in the wiring harness can fail, resulting in the fuel pump cutting out and the vehicle stalling. 3300 examples of the Toyota Prius produced between August 2016 and October 2016 have been recalled to have adjustments to the foot operated parking brake, which may stop engaging properly over time. There are also recalls for limited numbers of the Jaguar F-Type SVR, Renault Scenic, Vauxhall Mokka and Fiat 500 - see the table below for full details for all the November 2016 recalls. Owner of new Prius, had brake cable recall work done yesterday, appears it just needs a clip fitted for security .Toyota do lots of recalls across the range but this just proves that they monitor the safety of their products constantly so I feel quite safe at all times in my Prius. A recall must be looked upon as a positive, not all manufacturers are upfront about problems with their products. NingPo. Maybe they haven't done their development properly. I own a Hyundai, and I don't see them listed here. What is going on with Vauxhall , are they in denial with the fires in other models as they did with the zafira. I sold mine after their pathetic responses. I have a 2015 Kuga & it often has a very strong electrical burning smell. Except when I take it to the dealer!